If there's one thing I'm absolutely sure of in fashion, it's that what goes around almost always comes back again. Fashion has a never-ending cycle of reaching into the past to inform today's trends. When we say goodbye to outdated fashion trends, it's usually not very long until we see them resurface again. Such is the case with the retro spring fashion trends of this season. More precisely, five of the trends you can find currently at your favorite retailers also happen to reside in my 95-year-old grandmother's closet—and you're only a few scrolls away from the proof. From the fur-trimmed outerwear Nanni wore as a young woman in the '40s and '50s to the chunky costume jewelry I rarely spotted her without in the '80s, her key pieces throughout the years are starting to bubble up again. 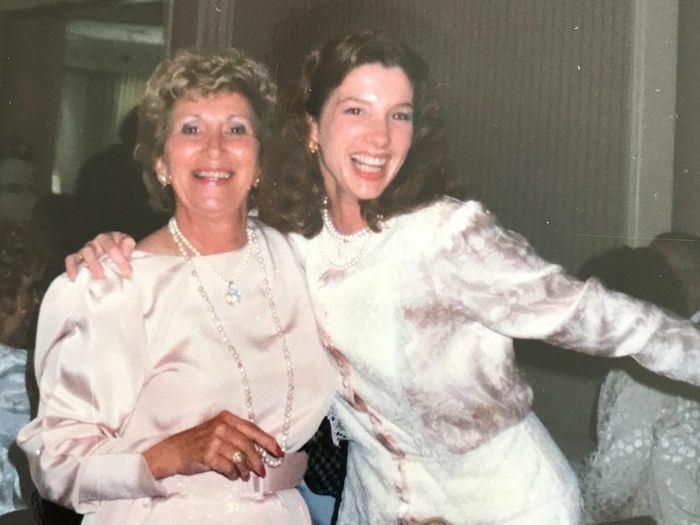 Whether worn by all the influencers or stocked at all the key retailers, these retro fashion trends all have one thing in common: my chic-as-hell Nanni wore them first. Keep reading to see them featured in my family photo archives, in the Instagram feeds of today's fashion girls, and listed at retailers all over the internet. Growing up, I was always fascinated by the layers of jewelry my grandma would put on every day. Among her rotation were plenty of chunky hoop earrings, statement necklaces, and bold cuffs that mirrored the jewelry trends back then. Clip-ons, just like my grandma used to wear. The chunkier the chain, the more retro the feel. This hammered-metal baby is about to earn you buckets of compliments. We haven't seen door-knocker earrings like these since the '80s. Mostly thanks to Scandinavian brand Saks Potts, retro-inspired, fur-trimmed outerwear is everywhere I look right now. Lo and behold, Nanni was keen on the style when she was my age, too. Our editor Allyson ordered this jacket within seconds. I suggest you do the same. If you're in the mood to splurge on statement outerwear, this Instagram-approved coat is the way to go. For those of you committed to an all-black look. Though I couldn't find an exact photo in our family archives, my memories of my grandma are littered with the kind of classic, structured handbags that seem to be re-emerging on the fashion scene this spring. Hey There! Happy Monday! A new week to realize all of your dreams. You got this! Photo by @giacomodemaggi. We named this emerging brand one to definitely watch. This is the bag you've spotted on all the influencers but couldn't recognize. Sensible heels may not sound like the most exciting style to own, but the retro trend is making a return for spring, and I'd venture to guess you'd find similar pumps in your grandma's closet, too. Mock croc—the trend that's as timeless as it is current. These are the ideal spring shoes if you ask me. Reike Nen always nails it with the details. If my grandma were a fashion girl in 2019, she'd so wear these. 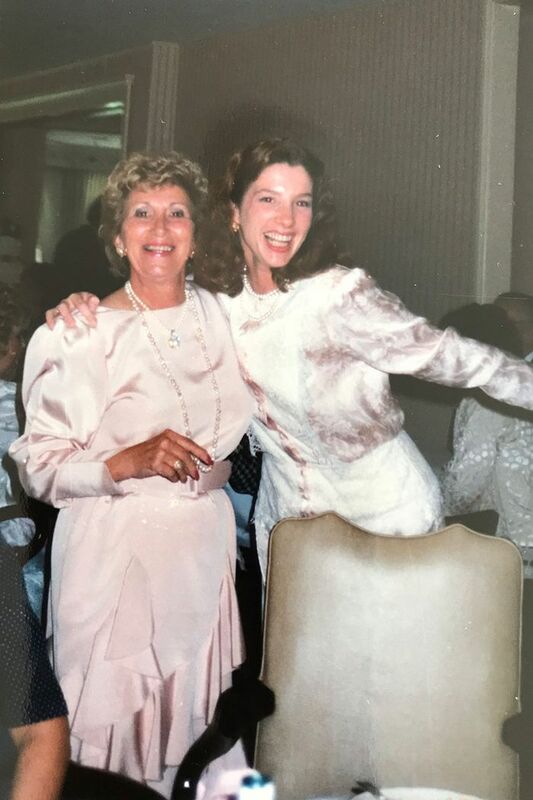 Maybe it's an old styling habit from more conservative times, but my grandma was rarely seen in a dress or skirt without what she called nylons or stockings, which I refer to as tights. I hated wearing them growing up, seeing them as overly stuffy, but with their sudden revival in fun patterns and logo prints, I'm game to try them out again. Never thought I’d speak these words but I kind of miss the east coast winter gloom currently. I'm convinced that everything Gucci touches goes viral. PSA: We found 17 cool ways to wear these. You've seen this pair all over Instagram. Now it's time to order them. Winter outfits are boring no longer. Next: eight crucial style lessons women over 50 want you to know.